for we will become one. 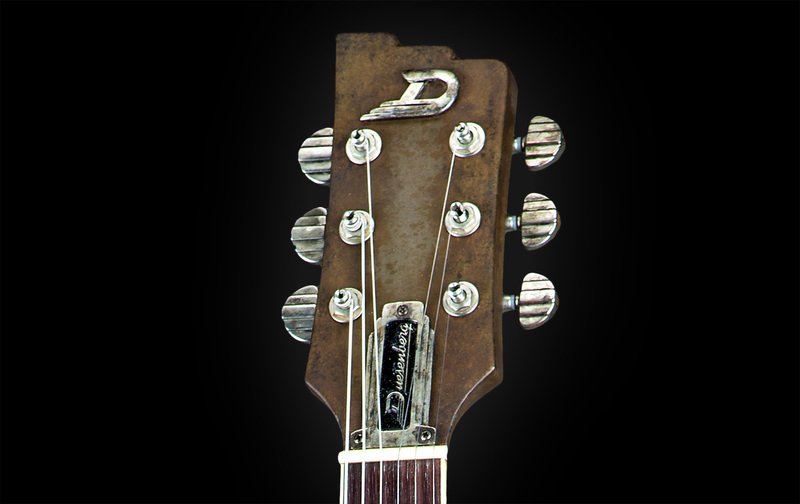 The Duesenberg Custom Shop presents a unique edition of our most popular model: The Starplayer TV Rusty Steel. It is designed to look like it was entirely build from metal in the 20's of the past century and left in the attic of an old building for decades until it was recovered and brought back to life. The Starplayer TV is a semi hollow, dual pickup, 22 fret electric guitar, featuring arched top and back, bent sides and a 647mm scale. 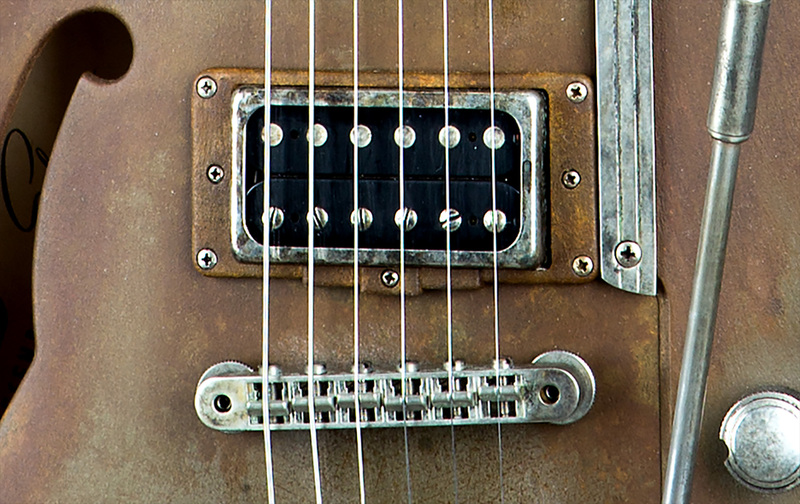 Constructed the same way as our regular Starplayer TV, the surface on this Custom Shop Edition is coated with a thin layer of metal particles, which are then aged to achieve a unique rusty steel look. Since this process is entirely done by hand, every single instrument has its own special patina, making all of them a gorgeous one of a kind. Since we did not want the patina to rub off on your clothes, the metal layer is finally coated with a thin layer of semi-gloss clear lacquer. The patina, however, will continue to oxidize over time so your own personal story will add to the charm of the instrument. 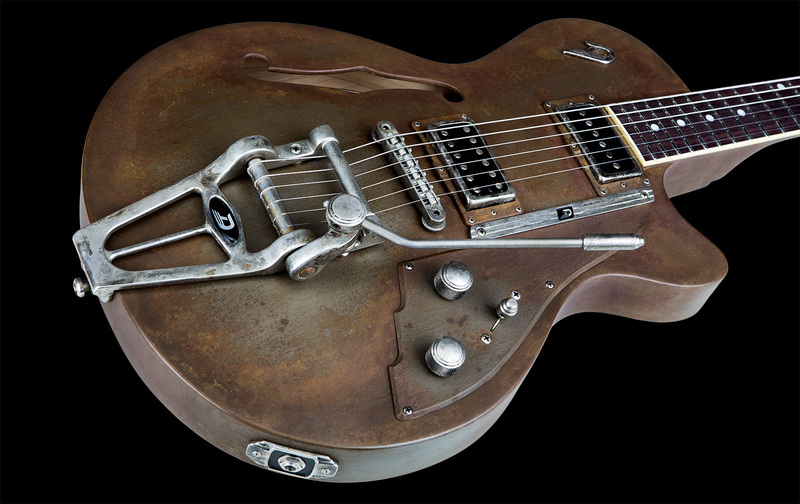 Of course, our proven Duesenberg pickup combination of our open GrandVintage humbucker and the creamy Domino P90 has also found its way into this instrument. 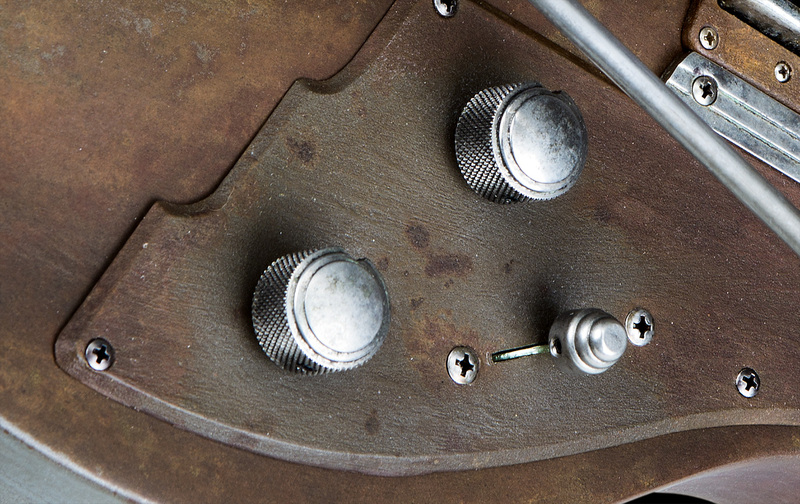 As with all hardware parts on the Rusty Steel, the pickups are hand aged, as well. All of our fretboards are carefully pleked and finished by hand for optimum playability and the smooth feel they are famous for. The Starplayer TV has become a gold standard for musicians around the world. With this Custom Shop addition, we are adding up on that legacy. Size: 46 x 34cm / 18.11" x 13.38"